Another day of record high temperatures. I am mostly happy because it's astonishingly pleasant walking the dogs without protective clothing and facemasks and such. Also, it means I have a better chance of bringing all the beehives through this winter. 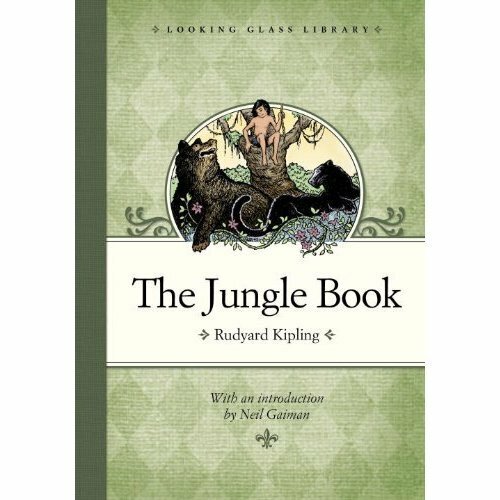 The mail on Friday brought many wonderful things, including a box of copies of a new edition of Rudyard Kipling's The Jungle Book, to which I had written an introduction. One reason I love writing introductions (or rather, I love having written introductions, because I don't love writing them. They feel like schoolwork, and they always take me so much longer to do than I ever think they will) is that I get to point to a work that I like, usually like a lot, and explain why I like it. You can't explain or point out everything in an introduction, nor should you. If it's done well, an introduction is a bit like sending a friend to a city she's never visited before. You tell her about the restaurants she shouldn't miss, and the places and sights that made you happy the last time you were there, and a few things that perhaps only the locals know. 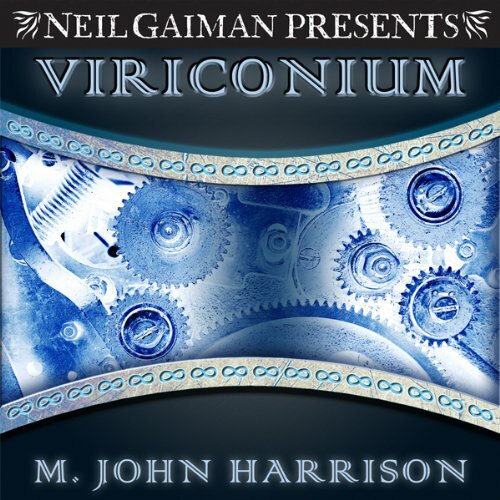 I love M. John Harrison's prose and I love his books, and I find the Viriconium sequence fascinating and delightful, which was why I asked for it to be in my ACX audiobook line at Neil Gaiman Presents. A few years ago, I wrote an introduction to the US edition of the book (the UK edition was introduced by Iain M. Banks, so even if you own the books, you might not have read it). On Viriconium: some Notes Toward an Introduction. People are always pupating their own disillusion, decay, age. How is it they never suspect what they are going to become, when their faces already contain the faces they will have twenty years from now? And I look at the Viriconium cycle of M. John Harrison and wonder whether The Pastel City knew it was pupating In Viriconium or the heartbreak of “A Young Man’s Journey Towards Viriconium” inside its pages, whether it knew what it was going to become. Some weeks ago and half-way around the world, I found myself in the centre of Bologna, that sunset-coloured medieval towered city which waits in the centre of a modern Italian city of the same name, in a small used bookshop, where I was given a copy of the the Codex Seraphinianus to inspect. The book, created by the artist Luigi Serafini, is, in all probability, an art object: there is text, but the alphabet resembles an alien code, and the illustrations (which cover such aspects of life as gardening, anatomy, mathematics, and geometry, card games, flying contraptions, and labyrinths) bear only a passing resemblance to those we know in this world at this time: in one picture a couple making love becomes a crocodile, which crawls away; while the animals, plants and ideas are strange enough that one can fancy the book something that has come to us from a long time from now, or from an extremely long way away. It is, lacking another explanation, art. And leaving that small shop, walking out into the colonnaded shaded streets of Bologna, holding my book of impossibilities, I fancied myself in Viriconium. And this was odd, only because until then I had explicitly equated Viriconium with England. Viriconium, M. John Harrison’s creation, the Pastel City in the Afternoon of the world; two cities in one, in which nothing is consistent, tale to tale, save a scattering of place-names, although I am never certain that the names describe the same place from story to story. Is the Bistro Californium a constant? Is Henrietta Street? M. John Harrison, who is Mike to his friends, is a puckish person of medium height, given to enthusiasms and intensity. He is, at first glance, slightly built, although a second glance suggests he has been constructed from whips and springs and good, tough leather, and it comes as no surprise to find that Mike is a rock climber, for one can without difficulty imagine him clinging to a rock face on a cold, wet day, finding purchase in almost invisible nooks and pulling himself continually up, man against stone. I have known Mike for over twenty years: in the time I have known him his hair has lightened to a magisterial silver, and he seems to have grown somehow continually younger. I have always liked him, just as I have always been more than just a little intimidated by his writing. When he talks about writing he moves from puckish to possessed: I remember Mike in conversation at the Institute for Contemporary Art trying to explain the nature of fantastic fiction to an audience: he described someone standing in a windy lane, looking at the reflection of the world in the window of a shop, and seeing, sudden and unexplained, a shower of sparks in the glass. It is an image that raised the hairs on the back of my neck, that has remained with me, and which I would find impossible to explain. It would be like trying to explain Harrison's fiction, something I am attempting to do in this introduction, and, in all probability, failing. There are writers’ writers, of course, and M. John Harrison is one of those. He moves elegantly, passionately, from genre to genre, his prose lucent and wise, his stories published as sf or as fantasy, as horror or as mainstream fiction. In each playing field, he wins awards, and makes it look so easy. His prose is deceptively simple, each word considered and placed where it can sink deepest and do the most damage. The Viriconium stories, which inherit a set of names and a sense of unease from a long-forgotten English Roman City – English antiquaries have preferred Uriconium, foreign scholars Viroconium or Viriconium, and Vriconium has also been suggested. The evidence of our ancient sources is somewhat confused, a historical website informs us – are fantasies, three novels and a handful of stories which examine the nature of art and magic, language and power. There is, as I have already mentioned, and as you will discover, no consistency to Viriconium. Each time we return to it, it has changed, or we have. The nature of reality shifts and changes. The Viriconium stories are palimpsests, and other stories and other cities can be seen beneath the surface. Stories adumbrate other stories. Themes and characters reappear, like Tarot cards being shuffled and redealt. The Pastel City states Harrison’s themes simply, in comparison to the tales that follow, like a complex musical theme first heard played by a marching brass band: it’s far future SF at the point where SF transmutes into fantasy, and the tale reads like the script of a magnificent movie, complete with betrayals and battles, all the pulp ingredients carefully deployed. (It reminds me on rereading a little of Michael Moorcock and, in its end of time ambience and weariness, of Jack Vance and Cordwainer Smith.) Lord tegeus-Cromis (who fancied himself a better poet than swordsman) reassembles what remains of the legendary Methven to protect Viriconium and its girl-queen from invaders to the North. Here we have a dwarf and a hero, a princess, an inventor and a city under threat. Still, there is a bitter-sweetness to the story that one would not normally expect from such a novel. A Storm of Wings takes a phrase from the first book as its title and is both a sequel to the first novel and a bridge to the stories and novel that follow and surround it: the voice of this book is, I suspect, less accessible than the first book, the prose rich and baroque. It reminds me at times of Mervyn Peake, but it also feels like it is the novel of someone who is stretching and testing what he can do with words, with sentences, with story. And then, no longer baroque, M. John Harrison’s prose became transparent, but it was a treacherous transparency. Like its predecessors, In Viriconium is a novel about a hero attempting to rescue his princess, a tale of a dwarf, an inventor and a threatened city, but now the huge canvas of the first book has become a small and personal tale of heartbreak and of secrets and of memory. The gods of the novel are loutish and unknowable, our hero barely understands the nature of the story he finds himself in. It feels like it has come closer to home than the previous stories – the disillusion and decay that was pupating in the earlier stories has now emerged in full, like a butterfly, or a metal bird, freed from its chrysalis. The short stories which weave around the three novels are stories about escapes, normally failed escapes. They are about power and politics, about language and the underlying structure of reality, and they are about art. They are as hard to hold as water, as evanescent as a shower of sparks, as permanent and as natural as rock formations. The Viriconium stories and novels cover such aspects of life as gardening, anatomy, mathematics, and geometry, card games, flying contraptions, and labyrinths. Also, they talk about art. Harrison has gone on to create several masterpieces since leaving Viriconium, in and out of genre: Climbers, his amazing novel of rock climbers and escapism takes the themes of “A Young Man’s Journey to Viriconium” into mainstream fiction; The Course of the Heart takes them into fantasy, perhaps even horror; Light, his transcendent twining SF novel, is another novel about failed escapes – from ourselves, from our worlds, from our limitations. For me, the first experience of reading Viriconium Nights and In Viriconium was a revelation. I was a young man when I first encountered them, half a lifetime ago, and I remember the first experience of Harrison’s prose, as clear as mountain-water and as cold. The stories tangle in my head with the time that I first read them – the Thatcher Years in England seem already to be retreating into myth. They were larger-than-life times when we were living them, and there's more than a tang of the London I remember informing the city in these tales, and something of the decaying brassiness of Thatcher herself in the rotting malevolence of Mammy Vooley (indeed, when Harrison retold the story of “The Luck in the Head” in graphic novel form, illustrated by Ian Miller, Mammy Vooley was explicitly drawn as an avatar of Margaret Thatcher). Now, on rereading, I find the clarity of Harrison’s prose just as admirable, but find myself appreciating his people more than ever I did before – flawed and hurt and always searching for ways to connect with each other, continually betrayed by language and tradition and themselves. And it seems to me that each city I visit now is an aspect of Viriconium, that there is an upper and a lower city in Tokyo and in Melbourne, in Manila and in Singapore, in Glasgow and in London, and that the Bistro Californium is where you find it, or where you need it, or simply what you need. Those are some of the sights to see in Viriconium if you visit. Oh, and adumbrate means to sketch, outline or prefigure.